Vintage Bedroom Set. Condition is Used. Shipped with USPS Parcel Select Ground. We have deep cleaned hand condition waxed and had polished from top to bottom, there might be the odd little mark here and there. There are around 50-100 high definition super-sized pictures at the bottom of this page. All our products are made from Grade A or B Solid Mahogany or Teak wood. 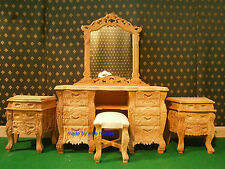 It is consist of Dressing table mirror stool and 2 nightstands. We are able to reproduce any discontinued products, hard to find products, or those that are no longer available elsewhere. 2x Custom made 3 drawer Rococo nightstands. All our products are made from Grade A or B Solid Mahogany or Teak wood. Finish colour : Unpainted Natural look. Here are your options We are able to reproduce any discontinued products, hard to find products, or those that are no longer available elsewhere. The compactum also displays lovely walnut mirror matched sides. The compactum, boasting a three-sided front, displays a stunning walnut top with black ebony style moulding. The compactum sits on its original curved black ebony style plinth, and the back features the original solid backboards. The suite includes a single door wardrobe. The top section supports a drop down (detachable) thumb-moulded cornice, above a single door, which boasts a superior quality chamfered mirror. Below, the base section consists of a single, hand dovetailed and pine lined drawer, which also retains its original working lock and key, and original brass escutcheon and handles. 1x Teak Wood dressing table mirror and stool. All our products are made from Grade A or B Solid Mahogany or Teak wood. Finish colour : Rustic Darker finish. In addition to our products, we also specialize in custom-building furniture to fit your exact specifications. Pictures showing the actual design, We also have dressing table with under mirror drawers. Chest of drawers is not included with this price. Finish colour : Natural Unpainted. Chest of Drawers is not included. Featuring Oriental signed logo on the top of each. Each having 2 pull out drawers. All our products are made from Grade A or B Solid Mahogany or Teak wood. We specialize in custom-build furniture. In addition to our products, we also specialize in custom-building furniture to fit your exact specifications. Allego anche i RENDER di PROGETTO oltre che delle fotografie e la pianta con le misure. Per qualunque ulteriore informazioni siamo disponibili. La dobbiamo cambiare a causa di CAMBIO ABITAZIONE e dove siamo è sacrificata. Armadio: (cm. Comò: (cm. 108 x 45 x 79h). Comodino: (cm. 56 x 47 x 45h). Letto matrimoniale: (cm 168 x 203 x 94h). Comò: n. 3 cassetti. Specchiera da parete. ). La bordatura dei pannelli in ABS dallo spessore di 0.4 mm su strutture e frontali. Ripiani posizionabili ad altezze diverse indicate con micro foratura su tutta l’altezza del fianco armadio. Comò: n. 3 cassetti. 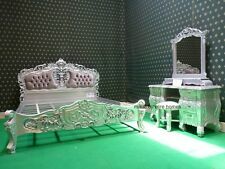 Mattress Size : Any size, Bedsides 60~70cm, Dresser approx 130cm long. 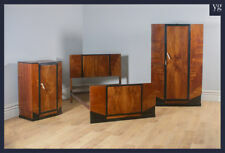 Any Size, Any Colour Custom made BEDROOM SET ( 6 Pieces ). Finish colour : Any Colour. We specialize in custom-build furniture. 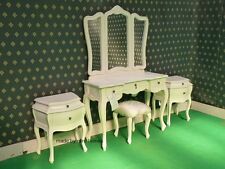 Interriors, designer, rococo, shabby chic, interior, john lewis. Finish colour : Any Colour. Pictures showing the actual design which we build before. Here are your options We are able to reproduce any discontinued products, hard to find products, or those that are no longer available elsewhere. Armadio: (cm. 274 x 55 x 245h). Comò: (cm. 107 x 44 x 77h). Comodino: (cm. 53 x 44 x 40h). Letto matrimoniale: (cm. 169 x 209 x 93h).